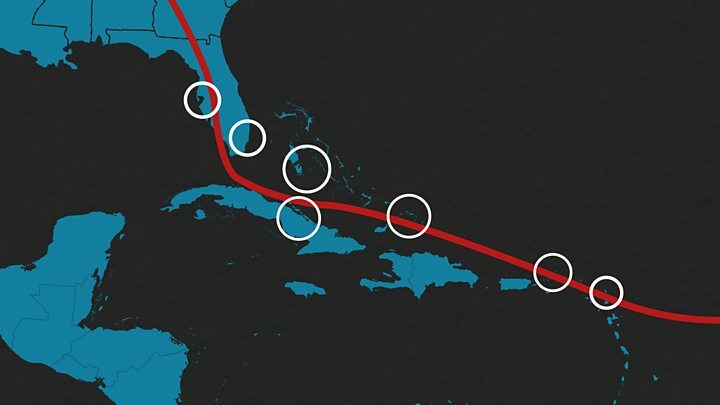 At the end of last week Florida was bracing itself for one of the most powerful hurricanes ever recorded in the Atlantic, but this week it is clear the US state was spared much of the predicted devastation. This is mostly down to the route of the storm, but is also partly because of how much notice the state had to prepare. The storm was a category five - the highest possible - when it swept over the Caribbean destroying nearly all the buildings on some islands. 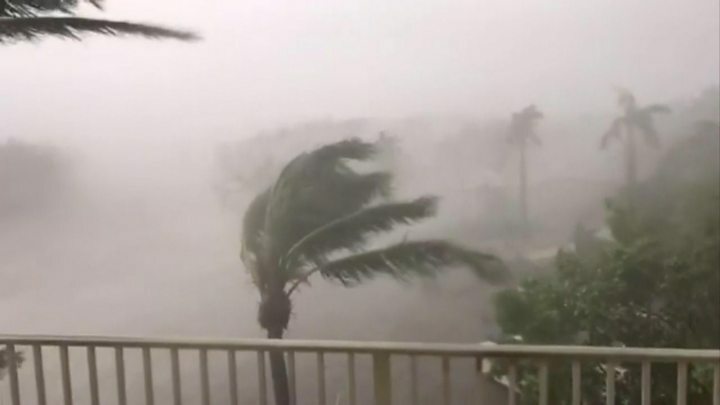 But when it hit the Florida Keys islands on Sunday, it was down to category four, and it continued weakening over other parts of Florida. "I didn't see the damage I thought I would see," said the state's Governor Rick Scott, after flying over the Keys to survey damage. Irma went further west than expected. Rather than travelling from the Keys straight northwards to Miami, it moved west and made landfall at Marco Island. That left people on the west coast having to move fast, but it also gave the hurricane time to weaken before hitting a major population centre. Hurricanes are fuelled by warm moist air, which is best gathered over tropical seas. Travelling over land makes them reduce their strength and speed. However, the state was not completely spared. Cities like Jacksonville did suffer flooding, and about 60% of homes across Florida were left without power. Yet the damage did not reach the level predicted, and analysts have cut their estimates of how much the damage would cost to rebuild. Miami's storm surge was small - a "mere fraction" of what would it would have been if the storm were further east, a former National Hurricane Center director tweeted. Contrast this with the Caribbean, where dozens of people have died. Officials on the island of St Martin officials said six out of ten buildings are uninhabitable, while 95% of buildings have been damaged on Barbuda. Hurricane preparation is an annual part of life in Florida, and buildings are generally well-built to deal with the winds. As the hurricane was predicted well in advance, people had a week in which to board up their houses, close the storm shutters and - for the most part - evacuate, as the government recommended. The Caribbean is also hit by hurricanes year on year, and after heavy winds and flooding the damage was severe. A government architect from Montserrat, Linda Dias, said, in a Facebook post, that houses on many Caribbean islands are built to withstand hurricane winds, just not ones at the speed Irma reached. Some island residents are angry that governments in London, Paris and The Hague did not send help to their overseas territories sooner. A British naval ship has since arrived in the Caribbean, while UK Foreign Secretary Boris Johnson and President of France Emmanuel Macron are on their way to see the damage for themselves. British Defence Secretary Michael Fallon said the UK had responded "very quickly" and was making an "international effort" alongside the US, France and the Netherlands. Those people who left their Florida homes are starting to return to a landscape changed, but not destroyed. Many homes are without power and rebuilding homes and business will take time. But as the mayor of Miami, Carlos Gimenez, said: "Inconvenience is a great thing versus having your home destroyed and your life significantly altered." It was undoubtedly an epic hurricane - it travelled 3,700 miles (6,000km), stayed a hurricane for 11 days, and dumped 400mm (15 inches) of rain in some places. It had the fastest Atlantic wind speeds recorded in a decade. But the fact that it lost some of its strength before hitting mainland US is a relief for people in Florida. Video Hurricane Irma: How badly hit were Florida Keys?